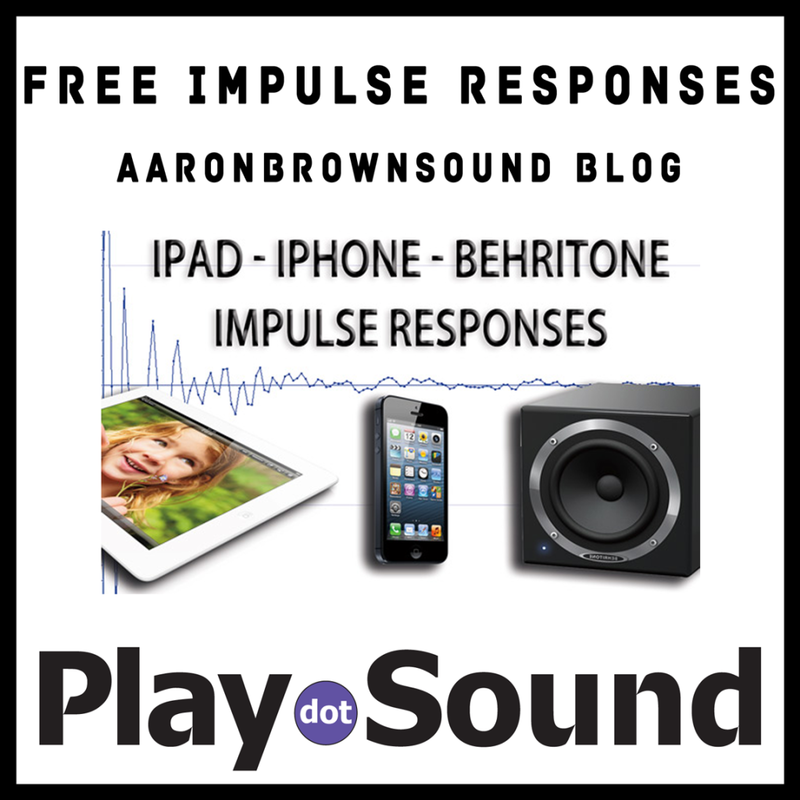 Free Impulse Responses from the iPad, iPhone and Behritone speakers! If you’ve been looking for a way to preview how the iPad and iPhone speakers will alter your sounds then you are in luck! Aaron Brown recently added impulse responses from each of these devices! One way you can use these is to go download the files and import them into an IR reverb on your master bus in your favorite DAW. I use these in Izotope Trash and change it to mono to simulate the mono speaker. Now you can mix your sounds like normal, but it sounds pretty darn close to how it will sound out of your target devices speakers! This will really help you dial in the low end and prevent certain sounds from really peaking out in the mix. You could also use these in an Impulse Response reverb to simulate smartphone speakers in a cutscene or movie. Aaron included a Behritone impulse response as well. The Behritone speaker is similar to the Auratone’s that so many engineers use as a mono “grot box”. It’s a very useful trick to simulate the small, cheap consumer speaker experience. CLICK HERE TO DOWNLOAD THE FREE iPad, iPhone and Behritone Impulse Responses!